My role involves managing a large brigade of chefs and kitchen staff and also to ensure efficient kitchen operation, as well as maintain high production, productivity, quality, and customer-service standards. I am also involved in many HR aspects from staff development to recruitment and everything in between. My team and I take great pride in delivering exceptional customer experiences. My role essentially involves developing new dishes to wow our guests. I do this by updating the menus regularly, always considering the season and holidays coming. I am a local cork man obsessed with GAA, football, hurling and rugby. Living in Cork and working as a chef has a distinct advantage in so far as there is a myriad of local suppliers from farmhouse /cottage industry right up to large production from where you can draw inspiration for new dishes and menus. I feel it is my responsibility to always support our many talented local Cork producers, who always produce amazing ingredients. I work very closely with our suppliers so that we both develop a mutually beneficial working relationship as the produce they supply, is the key ingredient to making magic happen in the kitchen! 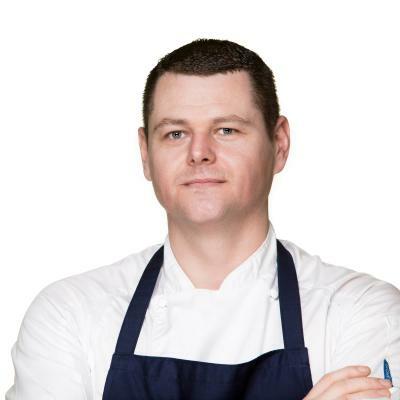 In 1998, I graduated from Cork institute of Technology with a degree in culinary arts and trained in advance larder and pastry to gain a greater knowledge of skills that I wanted to use along my career. That year, I was also a competitor in the Chef all Ireland competition in Dublin’s RDS, the experience of competing really helped me to gain confidence in my talent. I enjoy traveling and experiencing new cuisine from around the world, I have had the privilege and pleasures in sampling many local and traditional delicacies in far flung areas of the globe from Malaysia, Thailand, Cambodia, Vietnam, Cape Town, Johannesburg, Botswana, Zimbabwe, USA and Europe. I believe each experience has had a unique influence on my style, technique and palate! One of the first kitchens that I worked in was The Silver Springs Hotel, where my passion for food was ignited. I have previously worked as a Head Chef in many Cork establishments including the Rochestown Park Hotel and The Kingsley hotel. I was also involved in the opening of the Clayton Hotel Cork City known then by its former guise The Clarion Hotel.